I was recently sent some products to try from Cognito Spa’s Afternoon Tea range. This might sound a bit odd, right? Afternoon tea beauty products? But they are just that. Not edible but they have all the smells and indulgence that an afternoon tea has. 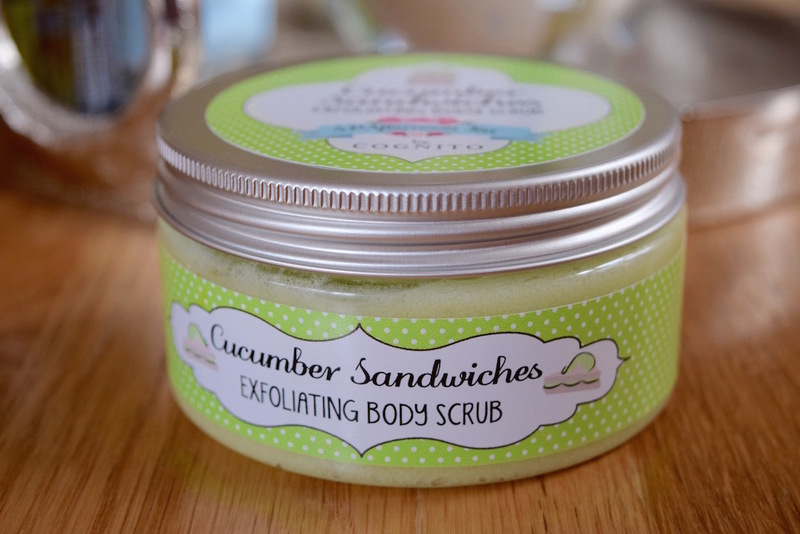 My favourite product was the Cucumber Sandwiches Exfoliating Body Scrub. The range includes Lemon Drizzle, Victoria Sponge, Eton Mess, Chocolate Orange Truffle. these are scrubs and creams. They also have lip balms that are Prosecco & Strawberry, Gin & Tonic, Pimm’s and Peppermint Tea flavours / scents. I think it is just such a fantastic concept for a beauty range! 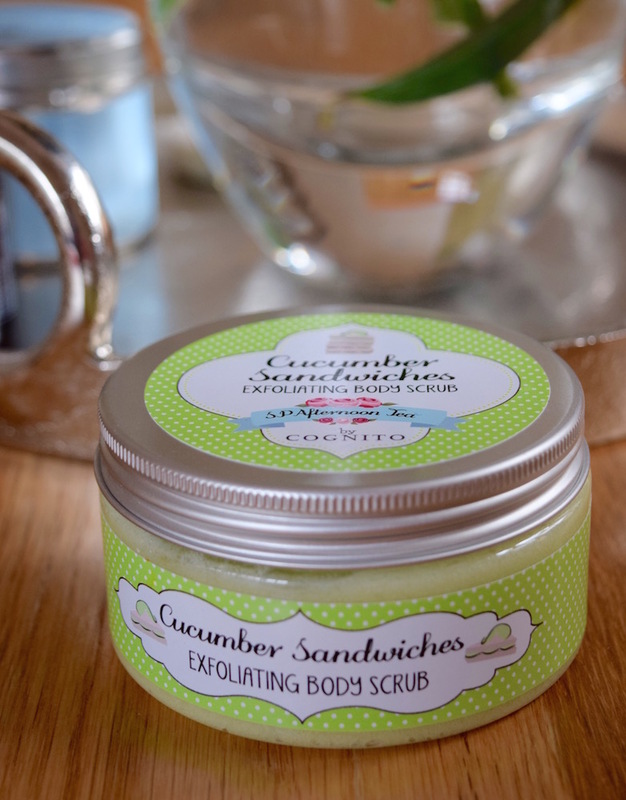 Anyway, the cucumber sandwiches scrub smells absolutely divine. I thought it might be hard to get a cucumber scent across, but it has been done very well. It isa light, fresh fragrance with hints of cucumber, apple and soft marine combined with floral notes. It smells so good! 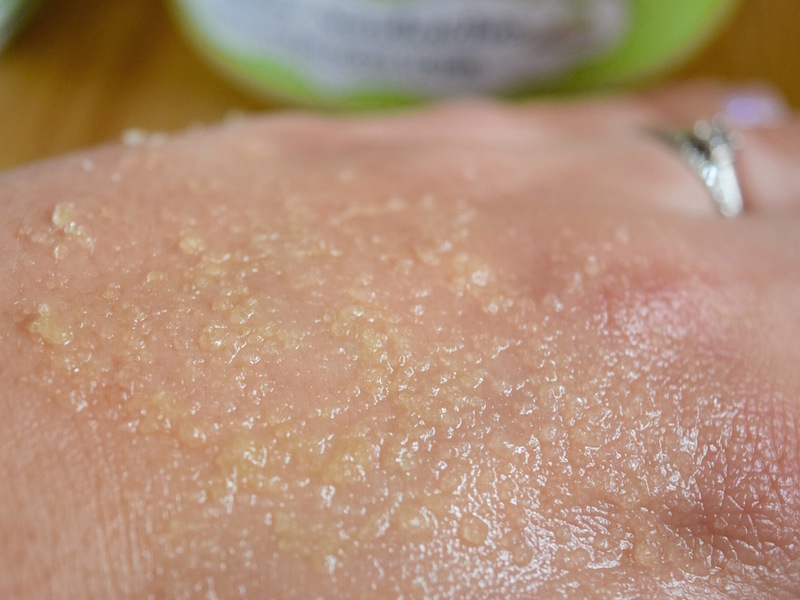 You can smell it subtly on your skin for quite a while afterwards too. I like that there are ingredients that I know and understand on the label. 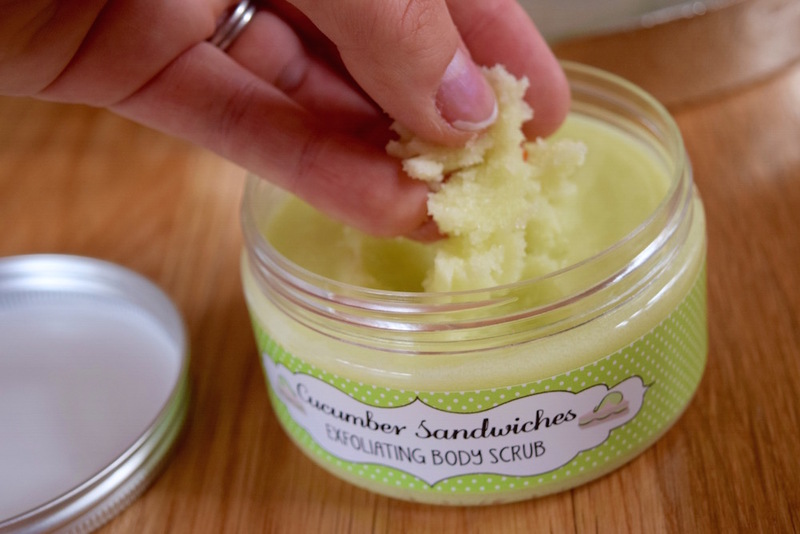 The scrub contains thing like coconut oil, sea salt, shea butter and apricot oil. No sodium laureate sulphate in sight! I feel confident using it on my skin knowing it has natural ingredients in it. Does it work as an exfoliant, though? Yes! I found it left for skin feeling soft and hydrated (and smelling gorge too of course). The range is beautifully packaged. I think they would make the perfect gift for someone. It is unique, cute and basically, lovely; I think my mum and sisters would really like it! The scrubs cost £11.99. lip balms are £4.99 and creams and face masks are £9.99. I think these prices are reasonable. It probably wouldn’t be something I would get for myself on a regular basis, but as a treat or for things like birthdays, it would be on the list. What do you think to this range? I’d love to hear your thoughts. Linking up to Tried & Tested. *the range was gifted in exchange for an honest opinion. All thoughts are my own. I love anything spa like and scrubs always feel like such a treat. It’s definitely one for the birthday list. These sound very interesting. Afternoon tea. What a great idea! Kim Carberry recently posted…Bahlsen Biscuits – Review!